Mariska has always been fascinated by the combination of substantive legal aspects and social emotional aspects, which play a role in disputes and in changes to circumstances within a family. Her drive is to contribute in a constructive and careful manner to solutions for family issues based as far as possible on a de-escalating approach. Since April 2017, Mariska has been employed as paralegal within the family law practice group of Delissen Martens. In that capacity she provides assistance to the legal practice of our family lawyers in matters concerning divorce, maintenance, disputes about children and matrimonial property law. As a paralegal she analyses case files, drafts procedural documents and makes maintenance calculations, she writes opinions, letters and email messages. If necessary, Marika studies substantive legal issues, collects practical information or performs procedural acts. In addition, she attends discussions, accompanies lawyers to hearings and she is in contact by telephone. Mariska has an involved and solution-oriented approach. When analysing a case file, she considers it important to understand the underlying feelings and emotions of the positions adopted by the persons involved, and to find out what the interests are of the children in question. That approach gives access to what really keeps the persons concerned divided and, in her opinion, it constitutes the best starting point for constructive discussions. Furthermore, she studies the applicable legal framework more closely by consulting the law, case law and specialist literature. Partly on that basis, a strategy will be decided. Mariska always works together with one of the lawyers on cases. The greater part of her work is first drawn up in draft form and after approval of the acting lawyer and/or client(s), it is carried out in final form. In 2014, Mariska successfully completed the master’s degree programme in Juvenile Law at Leiden University. She has worked with much enthusiasm in family and juvenile law since. She has gained work experience at the District Court of The Hague, first as a trainee with the juvenile law sector and thereafter as a legal staff member with the family law division. 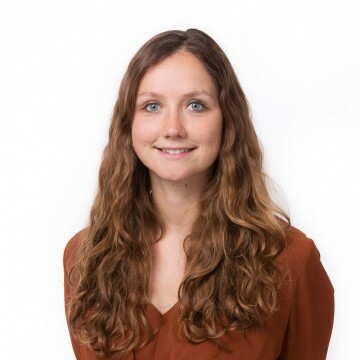 Prior to taking up employment with Delissen Martens, she has worked as a legal staff member at a law firm in another part of the Netherlands.